Johanna Ortiz, Paula Mendoza and Cano have joined forces to celebrate the rich history of their native Colombia and the ancient jewelry discovered all over the country - the result is a modern take on traditional pieces like these 'Olive Trees' earrings. 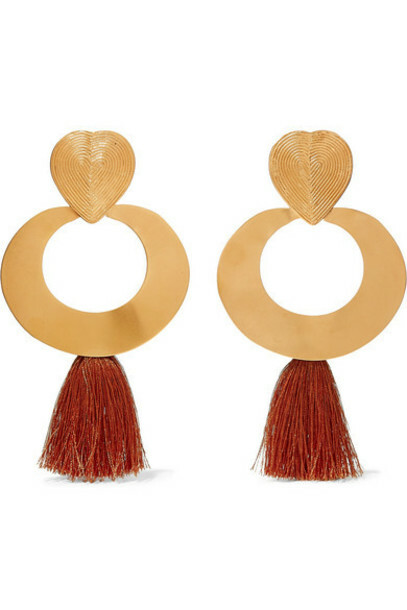 Surprisingly lightweight, this gold-tone pair is sculpted to form oversized hoops, which drop from delicately engraved hearts. The swishy burnt-orange silk fringing hits just above your shoulders.